Fairytale Castle Theme Cake and Knife Set. 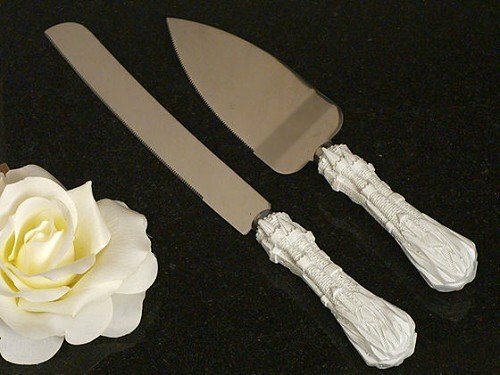 A set of castle design cake and knife server. Comes packaged 1 set in a gift box. These stylish servers have a resin handle with an enchanting castle design. Stainless steel with poly resin handle cake server measures 10.5 inches per set and the knife 12.5 inches.